The review meeting for poverty reduction case studies was held in Tongliao, Inner Mongolia Autonomous Region, on August 30-31,2018. The meeting was co-hosted by International Poverty Reduction Center in China (IPRCC) and China Internet Information Center (CIIC). About 40 experts and officials from the State Council Leading Group Office of Poverty Alleviation and Development, the State Council Information of China, World Bank, Food and Agriculture Organization of the United Nations (FAO),World Food Programme (WFP), International Fund for Agricultural Development (IFAD),Asian Development Bank (ADB), Beijing Normal University, Poverty Alleviation and Development Office of Inner Mongolia Autonomous Region and Tongliao municipal Party committee and government, attended the event. Participants are discussing poverty reduction case studies at the review meeting. 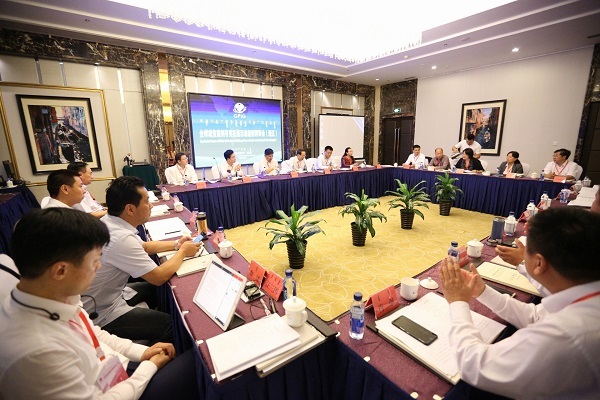 At the meeting, experts reviewed dozens of poverty reduction case studies such as the case of targeted poverty reduction through cattle breeding in Horqin Left Rear Banner, Inner Mongolia. They also suggested how to promote the exchange and sharing of international poverty reduction experience, so as to contribute to global poverty alleviation governance. The meeting also discussed work assignments of the review and release of poverty reduction case studies for the next stage. All the poverty reduction case studies reviewed in the meeting were for the Global Solicitation and Challenge Prize on Best Poverty Reduction Practices, including various case studies ranging from industrial development, health and technology initiatives, finance and innovating working mechanisms. The Global Solicitation and Challenge Prize on Best Poverty Reduction Practices lasted for three months from May 23 to August 23 and was jointly launched by CIIC, IPRCC, World Bank, FAO, IFAD, WFP and ADB at the 2018 China Poverty Reduction International Forum. As the first global solicitation of poverty reduction case, this campaign has involved many international organizations, and is the latest attempt to promote the global partnerships on poverty reduction. The campaign is seeking meaningful poverty reduction case studies from both organizations and individuals working around the world in poverty alleviation, and will select 100 outstanding case studies for recognition. The result will be released in October. Organizations and individuals with winning submissions will receive certificates issued by seven hosting organizations.